Farrell was the apparent victor, with Irish Rugby's official Twitter feed then sharing some amusing post-match 'analysis' from Ireland head coach Joe Schmidt. Asked if Farrell's success represented a bad omen for Ireland, a grinning Schmidt said: "Not really - I think it's trying to offer them a little bit of false confidence. "Rory, as a Connect 4 player, I think he's got real potential. He's part of a front row of three, so he would have been struggling on that fourth one." Ireland did, of course, manage a run of five in a row during last year's Six Nations as they completed a Grand Slam. 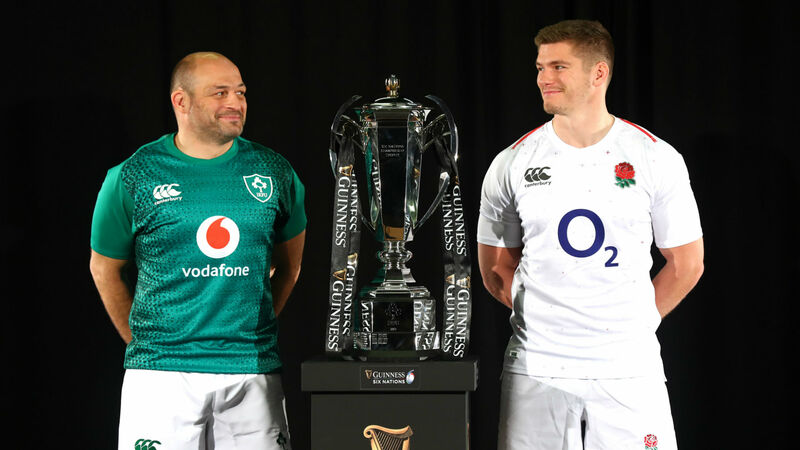 They host England in a mouth-watering opening-round contest next weekend, when a battle of far greater intensity than Wednesday's fun and games can be anticipated.